Whether you’re in the market for a new garage door as part of a renovation, new build or some future dream home project, the industry has recently produced some innovations that are worthy of consideration. These features can elevate your garage into a great addition to your home. Designed with increased energy-efficiency, aesthetics, safety and security in mind, these garage door upgrades will have you rethinking your renovation and new build plans. Take a look at what could be yours when you pull into your new garage. How long has it been since you were in the market for a garage door? Never? Not really? The garage door has been elevated to a focal point of the home instead of an afterthought. Think of it as the front door impact of old – but on a much larger scale. The availability of different garage door designs has expanded exponentially, with designs going beyond the traditional raised panels. New styles range from distinct carriage house design to sleek, contemporary and minimalist. And, of course, there’s everything in between with the ability to customize through textures and custom colors that complement the home, including dark granite, red, cobalt blue, beige and emerald green. Garage doors also are available in an extensive range of materials, including heavy gauge steel, wood, composite and aluminum. You can further customize with the addition of windows. The Internet of Things (IoT) has dramatically changed the way we operate our homes. With innovations that connect devices via the Internet. In the garage industry, that means you can more easily control the operation of your garage door using your smartphone, tablet or laptop. You can program your garage door to automatically open as you approach in your car. Or close the garage door remotely if you think you may have forgotten on your way out. 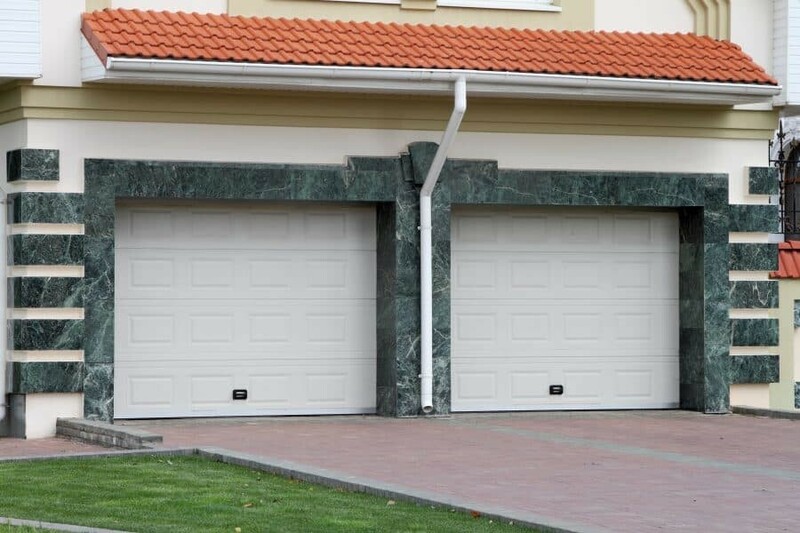 If you’re considering an automatic garage door but are concerned about space, consider side mount garage door opening systems – also called Jackshaft openers. This alternative to traditional rail-style openers opens up more design possibilities for your home, including heavier doors, tall ceilings, and other non-traditional constructions. When installing the system, your garage door company will mount it on the wall next to the garage door opening – attaching it to the torsion system spring line. If you have a garage that is really showing its age … you may be operating it without the benefit of a rolling code automatic garage door opener. With modern security features, you not only don’t run the risk of someone hacking your garage door opener, you also have the benefit of having sensors that can prevent accidental closures on pets or children – or adults – and can detect movement. Sensors can be programmed to turn on lights when movement is detected to boost safety and security. With the addition of IoT technology, you can observe your garage remotely to determine if you have unwelcome visitors to your home. Insulated garage doors are easily one of the leading benefits of garage door system upgrade. With an insulated garage door, you can significantly cut heating and cooling costs. With it serving one of the largest entry points to most homes, an uninsulated garage door can represent a huge energy leak – especially in regions with weather extremes during the winter and summer. Talk to us at Midwest Garage Door Systems about your next project involving a garage door upgrade or renovation. We look forward to helping you.